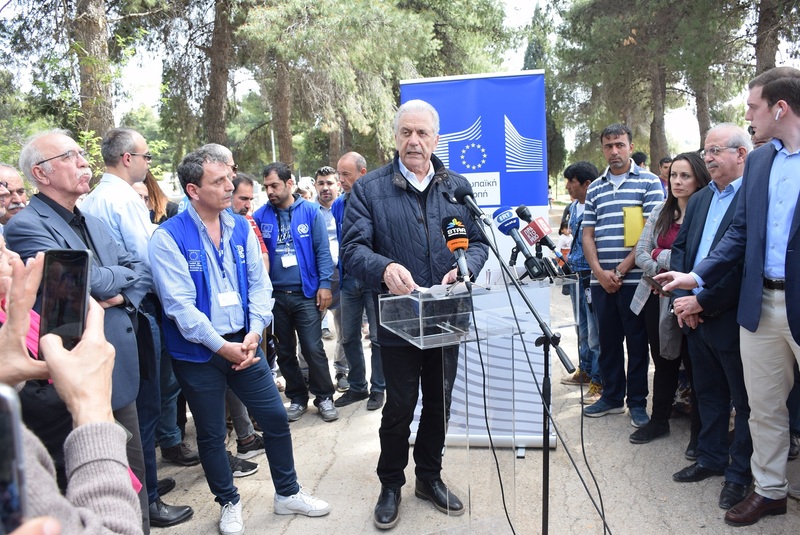 A meeting was held on Thursday April 12th between the Mayor of Chalkida Mr. Christos Pagonis, the European Commissioner for Immigration, Home Affairs and Citizenship Mr. Dimitris Avramopoulos and the Minister of Immigration Policy Mr. Dimitris Vitsas. 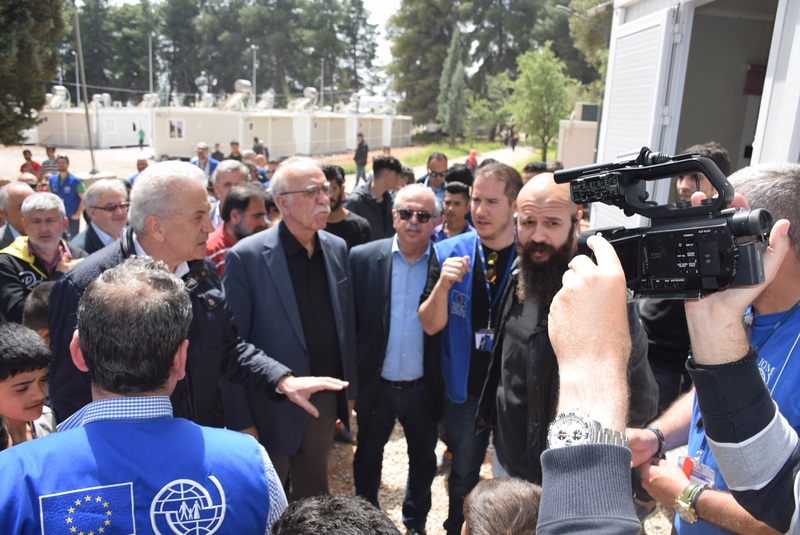 Mr. Pagonis along with Mr. Avramopoulos and Mr. Vitsas visited the Ritsona Refugee Hosting Facility. 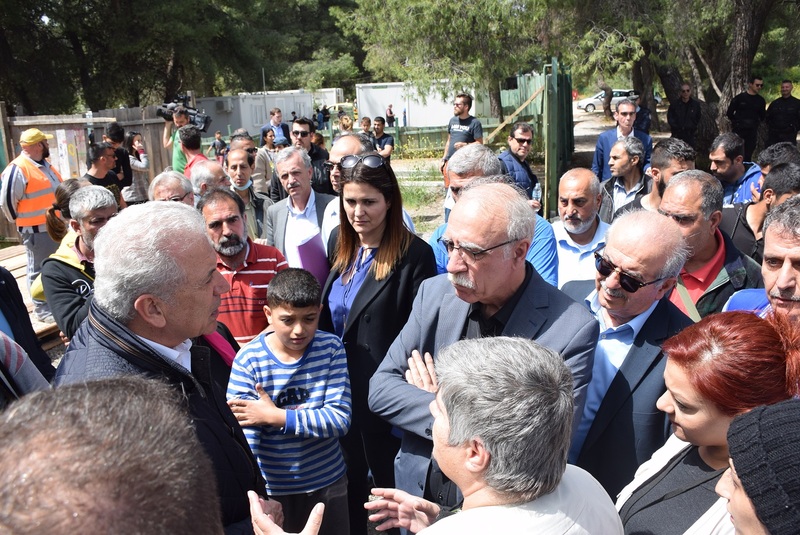 During the visit to Ritsona the Mayor had the opportunity to stress once again the initatives undertaken by the Municipality of Chalkida in order for the hosting facility to operate without significant problems. 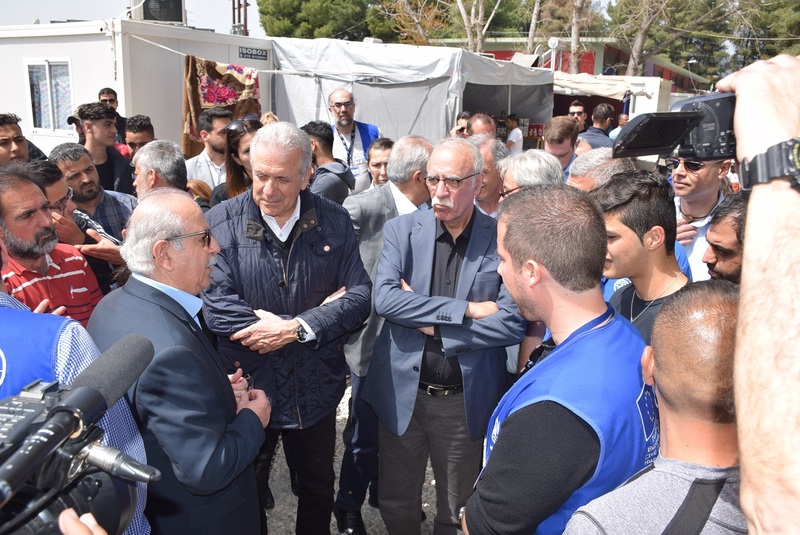 He pointed out that the children of the refugees are attending lessons in Municipal Schools, while the Department of Waste Management responds daily to the needs of the Facility. 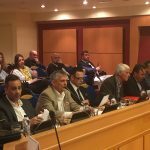 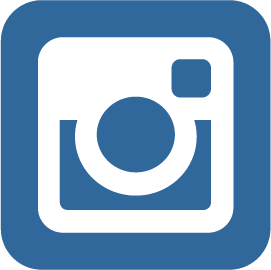 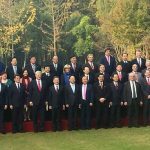 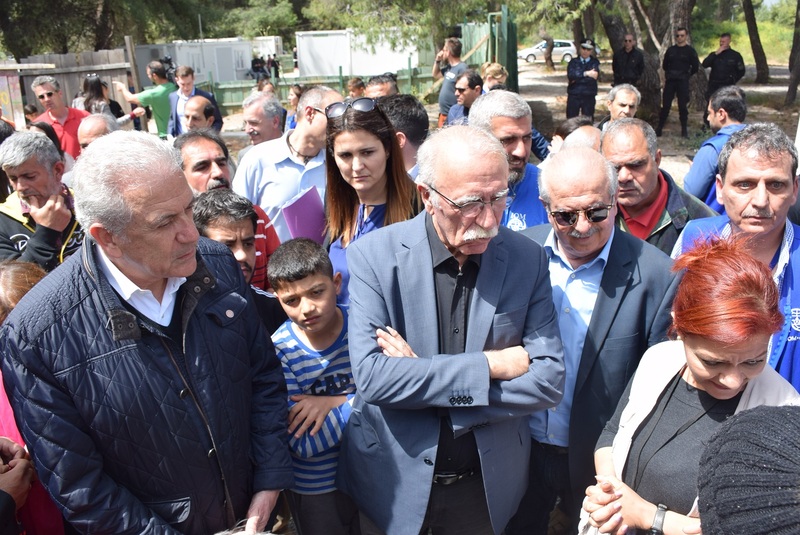 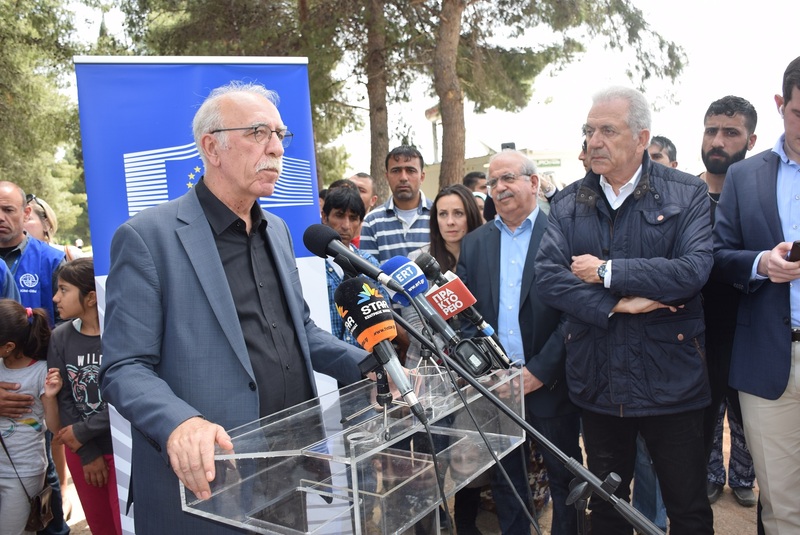 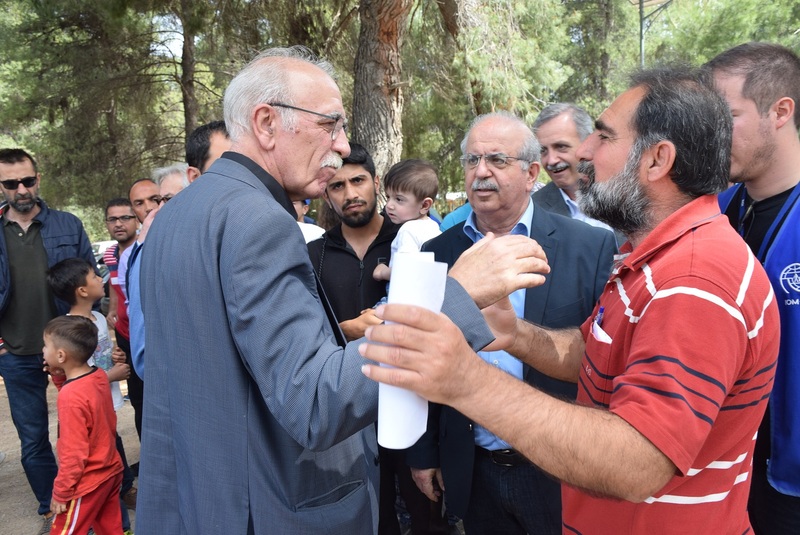 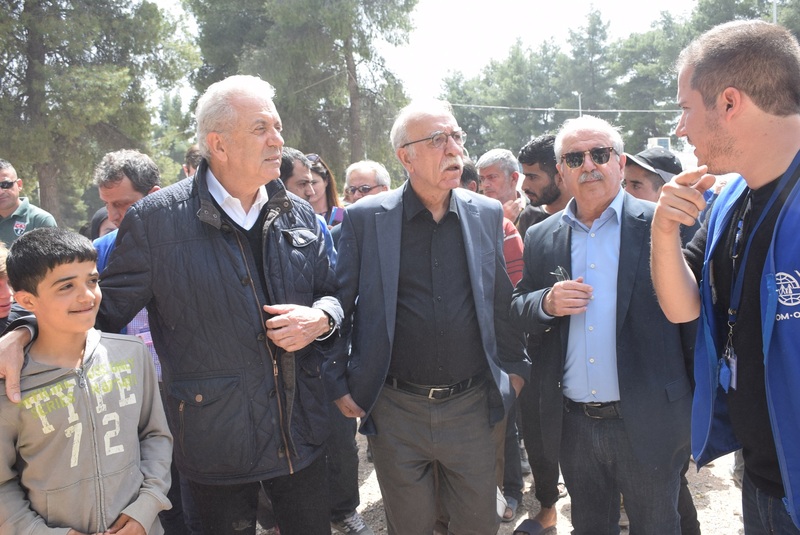 At the same time, he informed Mr. Avramopoulos and Mr. Vitsas that the Municipality has submitted a funding proposal to the competent Ministry for the connection of the Hosting Facility to the municipal water and sewage network and awaits for its approval.